With an objective to fulfill the ever-evolving demands of our clients, we are engaged in offering a wide assortment of Plain Roofing Sheets. We “Vs Cilaro FRP Industry Pvt. 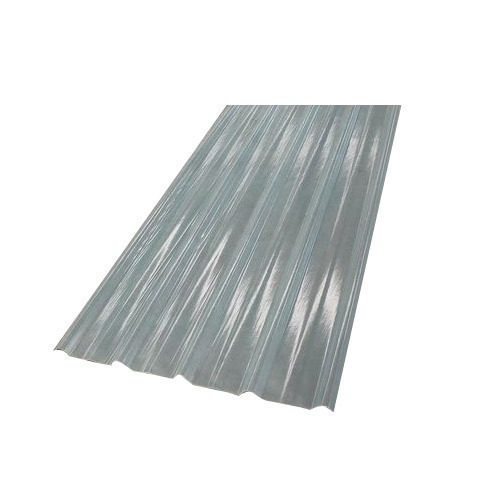 Ltd.” have gained success in the market by manufacturing a remarkable gamut of Coated Sheets, Cooling Tower, Fiber Sheet, Roofing Sheets, FRP Sheets, Air Ventilator and PVC Sheets. We are a well-known and reliable company that is incorporated in the year 2017 at Kurukshetra (Haryana, India) and developed a well functional and spacious infrastructural unit where we manufacture these products in an efficient manner. We are managed under the supervision of "Mr. Varish" (Director) and have gained huge clientele across the nation.